Against a dark and dreary Vancouver skyline nothing stands out more than the green rooftop of the Fairmont Hotel. 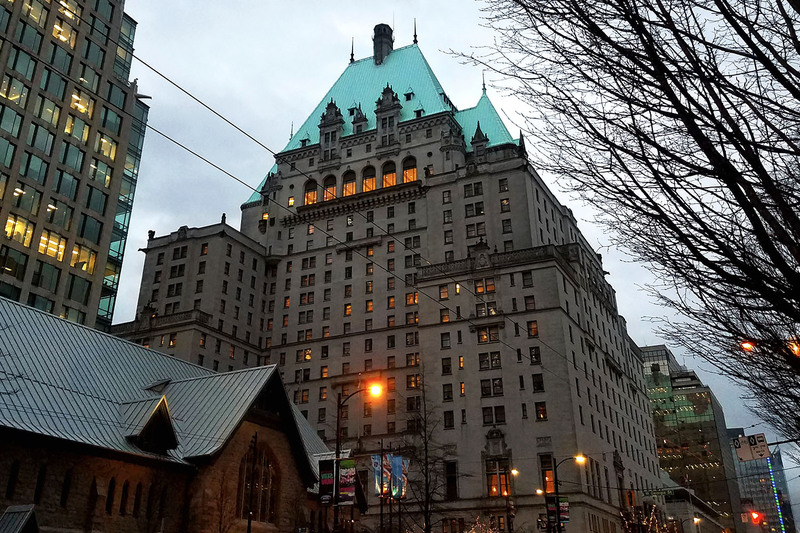 Dating back to 1939 and formerly known as the Vancouver Hotel, the 17 story tall gargoyle lined, gothic chateau-style building is one to behold. While known for its architecture and beauty the hotel’s resident ghost, the Lady in Red, boasts a reputation and fame that far outweigh any other haunted tale in the city. Exterior of the Haunted Vancouver Hotel, home to The Lady in Red ghost. 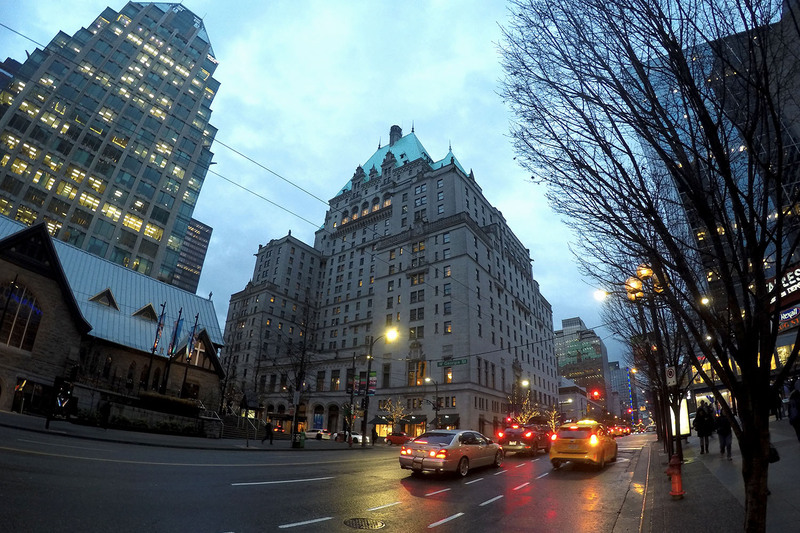 Legends of a haunting within the walls of the Hotel Vancouver are well known. A ghost so frequently seen by staff and guests matching the same descriptions have lead to notoriety and the nickname, The Lady in Red. This ghost is believed to have been Jennie Pearl Cox in life. Jennie was a regular to the hotel’s ballroom in the 30’s up until 1944 when she met an unfortunate fate in a car crash just after leaving the safety of her favorite building. One popular theory within the paranormal community explaining hauntings states that ghosts do not need to die within the walls of a building to haunt it. It is thought that restless souls may return to places they sought comfort and experienced joy during their lives. Reports of the Lady in Red are common on the ground and 14th floors. It is here she is usually seen entering and exiting elevators, even those out of commission. 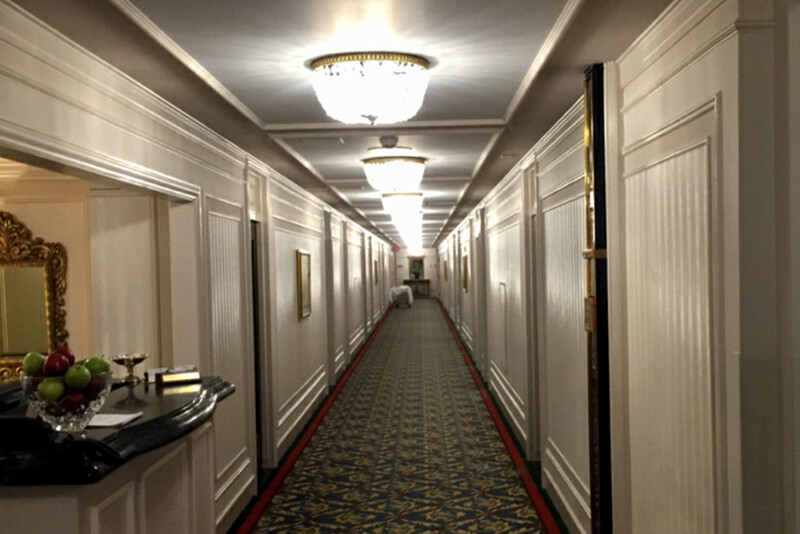 Interior look at the Haunted Vancouver Hotel. Perhaps the most famous tale of the Lady in Red’s existence comes from that of a confused Japanese family attempting to check into the hotel. After grabbing their room keys and proceeding to the 14th floor the family was surprised to see a lady wearing a red gown inside their room. Attempts to talk to the lady failed as she was unresponsive to the family. They returned to the front desk, confused and seeking help. Staff, already aware of The Lady in Red escorted them back to their room, which was found completely vacant. Further sightings on the 14th floor have been reported. One staff member recalled seeing a lady wearing a red gown follow another family into their room, 1403. Upon investigation, the lady disappeared. Earlier this year a photograph of the hotel’s exterior was taken by an elevator repair man. This image set off a heated debate. Had the Lady in Red had been caught on camera? It clearly shows something red peering out of one of the hotel’s uppermost windows. Whether this is the ghost of Jennie Pearl Cox is still a topic for debate. 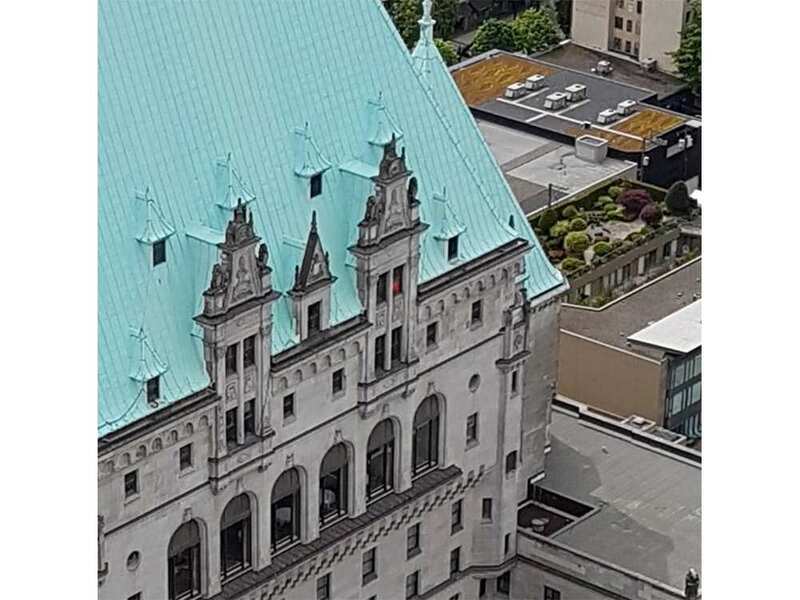 Photo by Vancouver’s Scott Graham showing a red figure in one of the Vancouver Hotel’s uppermost windows thought to be the Lady in Red. 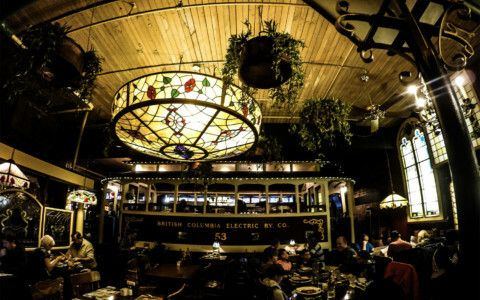 The friendly nature and popularity of this ghost’s story have intrigued Vancouver visitors for over half a century. The Fairmont hotel even embraces the ghost’s presence hoping to preserve her glamorous allure for years to come. 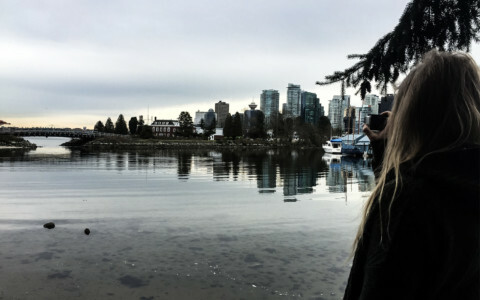 I paid a visit to the Vancouver Hotel earlier this year. While I didn’t stay the night, I did visit the hotel’s bar and restaurant, known as Notch8, which I definitely recommend. This spot serves up craft cocktails and high end dining right in the lobby of the hotel’s stunning interior. 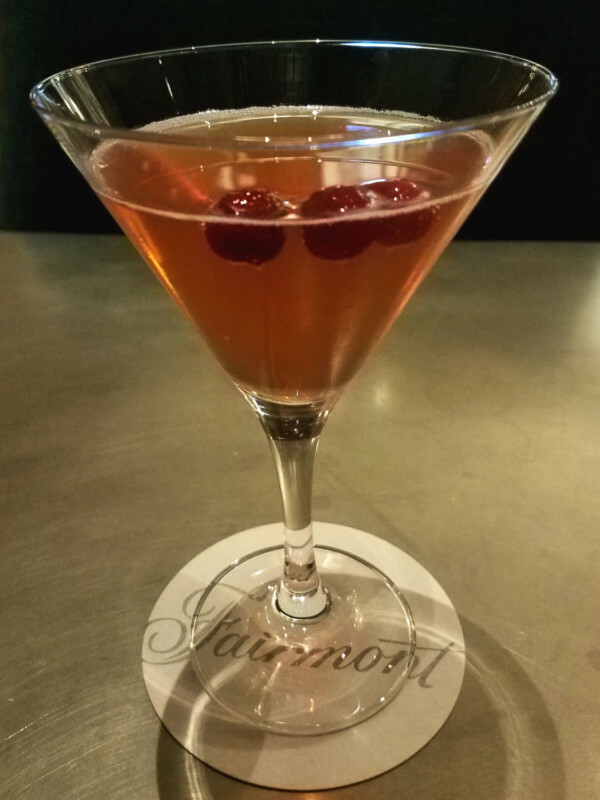 Ask for the off menu drink ‘The Lady in Red,’ which bar staff have created to pay tribute to the hotel’s resident ghost. I was also able to take a sneaky self guided tour around the hotel, making it to higher floors (like #14) and the top function area of the hotel easily. 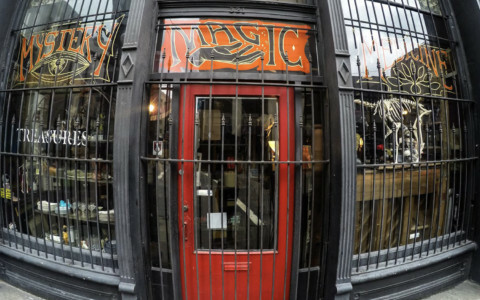 Would you like to pay a visit to see Vancouver’s most famous ghost, The Lady in Red? The Lady in Red cocktail available at the Vancouver Hotel, inspired by its resident ghost. 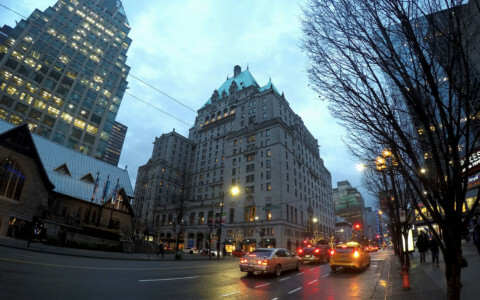 To book a stay at the Fairmont Hotel Vancouver click here. To check out the hotel’s drinking and dining options click here. If you’re interested in visiting other haunted hotels, check out my post about the Awahnee Hotel in Yosemite Valley, California.